I first found Shane Thoms’ photos through a link on a friend’s Facebook page. The link went to Messy Nessy Chic (click the photo to visit and read), so I had to share it. Okay, so I should have posted this before we left Kangbashi. But you know you wanted to go back anyway, so here we are. 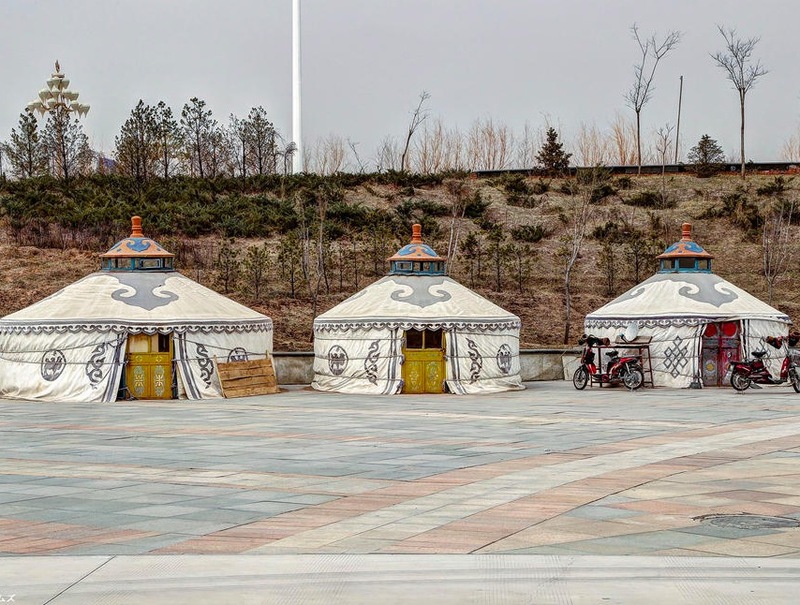 I think yurts are great, so imagine my glee at reading this story. It seems that the ghost city actually had a few inhabitants. Shane discovered a number of these lovely homes in open spaces. Tell us a story about them this week!